The Porsche 962 (also known as the 962C in its Group C form) was a sports-prototype racing car built by Porsche as a replacement for the 956 and designed mainly to comply with IMSA's GTP regulations, although it would later compete in the European Group C formula as the 956 had. The 962 was introduced at the end of 1984, from which it quickly became successful through private owners while having a remarkably long-lived career, with some examples still proving competitive into the mid-1990s. When the Porsche 956 was developed in late 1981, the intention of Porsche was to run the car in both the World Sportscar Championship and the North American IMSA GTP Championship. However IMSA GTP regulations differed from Group C and subsequently the 956 was banned in the US series on safety grounds as the driver's feet were ahead of the front axle center line. To make the 956 eligible under the IMSA regulations, Porsche extended the 956's wheelbase to make room for the pedal box. A steel roll cage was also integrated into the new aluminium chassis. For an engine, the Porsche 934-derived Type-935 2.8L flat-6 was used with air cooling and a single Kühnle, Kopp und Kausch AG K36 turbocharger instead of the twin K27 turbochargers of the Group C 956, as twin-turbo systems were not allowed in IMSA's GTP class at the time. The newer Andial built 3.2L fuel injected Flat-6 would be placed in the 962 by the middle of 1985 for IMSA GT, which made the car more competitive against Jaguar. 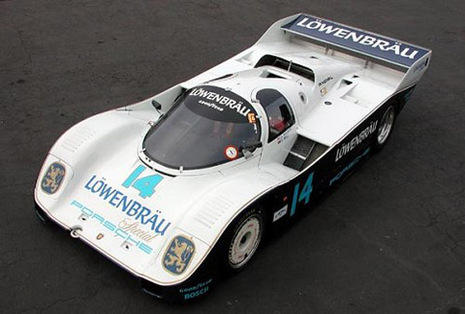 However it would not be until 1986 that the 2.6L unit from the 956 was replaced in the World Sportscar Championship, using 2.8L, 3.0L, and 3.2L variants with dual turbochargers. The cars run under World Sportscar Championship regulations were designated as 962C to separate them from their IMSA GTP counterparts.. The 3.2L unit, which had been eligible under IMSA's Group 3 engine rules was banned in IMSA by 1987 In 1988, to counteract against the factory Nissans and the threat of withdrawal from Porsche teams, watercooled twin turbo Porsche engines would be allowed back but with 36 mm restrictors. Due to the sheer numbers of 962s, some teams took it upon themselves to adapt the car to better suit their needs or to remain competitive. These modifications included new bodywork for better aerodynamic efficiency, while others changed mechanical elements. Long-time Porsche campaigner Joest Racing heavily modified a pair of 962s for the IMSA GTP Championship in 1993 to better compete against Jaguar, taking the 962s final sprint race victory (Road America) that season. Beyond even modification, some teams took it upon themselves to reengineer the entire car. One of the notable problems of the 962 was the lack of stiffness in the aluminium chassis, which meant that some teams took it upon themselves to design new chassis, and then buy components from Porsche to complete the car, although some also had unique bodywork as well. 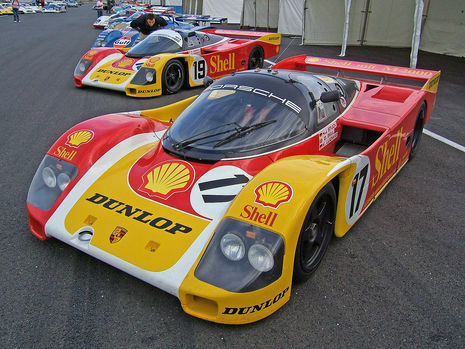 Some teams would then offer their 962s to other customer teams. Among the most popular privately-built 962s was that from Kremer Racing, termed the 962CK6. 11 total were built, campaigned by Kremer and other teams. John Thompson designed a chassis for Brun Motorsport, eight of which were built and helped the team take second in the World Sportscar Championship in 1987. Thompson would later build two chassis for Obermaier Racing. Richard Lloyd Racing's GTI Engineering would turn to Peter Stevens and Nigel Stroud to develop four 962C GTis, which featured entirely revised aero. Former factory Porsche driver Vern Schuppan would also build five new chassis, some known as TS962s. In the United States, the ball got rolling when Holbert Racing began making modifications to their own chassis and rebadging them with "962 HR-" serial numbers. The search was always on for a stiffer and safer 962 monocoque and Jim Busby contracted Jim Chapman to build a more robust version of the 962 monocoque. Fabcar would become the defacto factory tub supplier, supplying chassis with official Porsche serial numbers. Fabcar incorporated changes to the factory tub replacing the simple sheet aluminum construction with a combination of sheet aluminum and aluminum honeycomb in addition to billet aluminum bulkheads, all of which substantially increased the tub's crashworthiness as well as stiffness. Dyson Racing purchased a Richard Lloyd Racing/GTi Engineering 962 monocoque for use in their Porsche 962 DR-1 chassis. A Fabcar tub was used in Dyson's Porsche 962 DR-2. 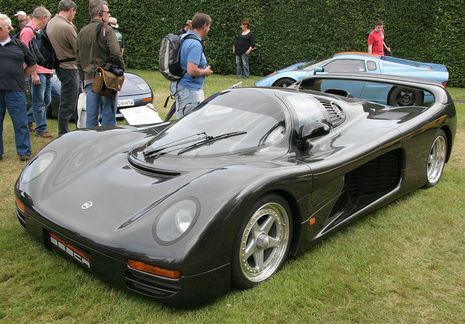 Some 962s were even more extensively modified, with several open-cockpit versions being developed in the mid-1990s to run under new sportscar regulations. Kevin Jeanette built the Gunnar 966, mimicking elements from the 917/30 Can-Am cars. Meanwhile, Kremer Racing would once again develop their own chassis, with the open-cockpit CK7 running in Interserie and K8 running at Le Mans. These cars shared little with the original 962s, using custom bodywork and chassis designs, yet retaining the engine and some suspension elements. The Porsche 962 is a sports-prototype racing car manufactured by Porsche. The Porsche 962 was designed to meet the terms of the IMSA’s GTP regulations and it was also designed as a replacement for Porsche 956. In the year 1984, the Porsche 962 was launched and it was a huge success at its time. The car was praised for its long lived career that even competed up to the mid 1990s. After the ban of the Porsche 956 at the IMSA GTP Championship in the year 1981 as a result it differed from the rules and regulations where the Porsche 956 driver’s feet was in front of the front axle. To overcome these faults, a new 3.2 liter fuel injected engine has been introduced in the Porsche 962 also making it better than Jaguar. In addition 2.8L, 3.0L and 3.2L engines are also manufactured with twin turbochargers. Several modifications have been done to the Porsche 962 by the racing teams where the body structure, mechanical elements, and aerodynamic elements have been modified. A number of modifications were done by the Joest Racing team compared to the previous modifications in order to give a tough competition to the Jaguar, as a result the Porsche 962 marked its victory at the Road America. A total of 91 units of Porsche 962 have been manufactured where 16 units were used by the Porsche factory and 75 units have been sold. The Porsche 962 made its debut in the 24 hours of Daytona which was driven by Michael Andretti and Mario, but it was retired in the 127th lap when a problem occurred in the gearbox and engine. In the year 1987, the Porsche 962 participated in the 24 Hours of Le Mans where a powerful 3.0 liter engine has been added in order to compete with the powerful opponents Mercedes-Benz and Jaguar; it also recoded a victory here which is also the 7th consecutive victory for the Porsche 962. 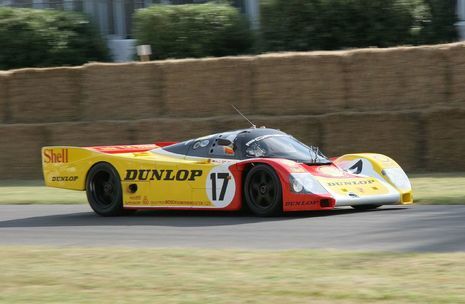 The Porsche 962 was considered the most dominant sports car during its time. It won the World Sportscar Championship in the years 1985 and 1986, IMSA GT Championship for the years 1985, 86, 87, and 88, four time winner in the Supercup Series for the years 1986-1989 and winner at 24 Hours of Le Mans in the years 1986 and 1987.